We offer a comprehensive range of private client services, and pride ourselves on our people-centric approach. Thompson Taraz Rand has helped countless private clients with tax-efficient wealth accumulation. Our aim is to help you cement financial plans that will enable a secure future by fully optimising the financial and tax options available. 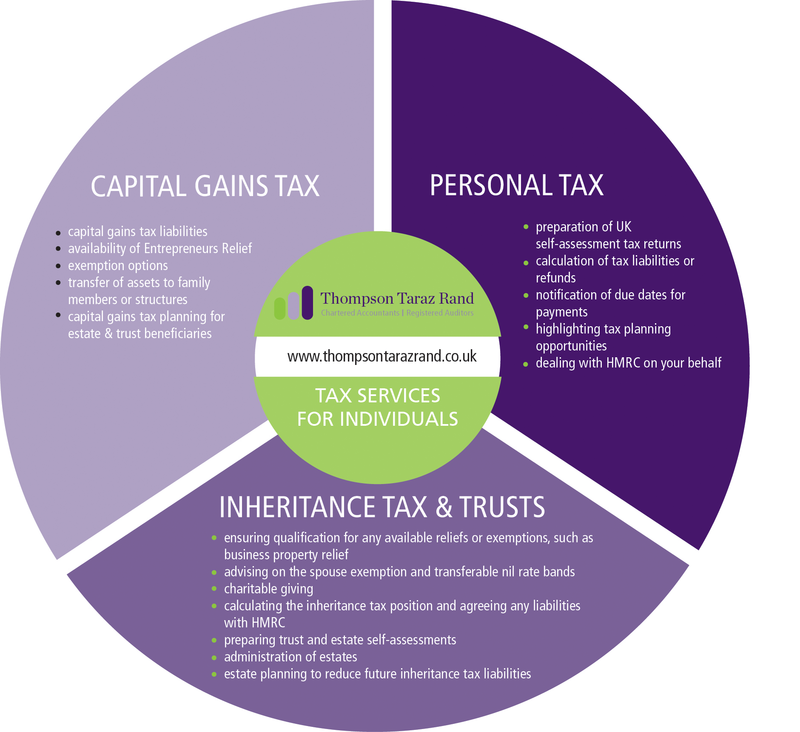 * Please note that Thompson Taraz Rand is not authorised under the Financial Services and Markets Act 2000, but we are able in certain circumstances to offer a limited range of investment services to clients because we are members of the Institute of Chartered Accountants in England and Wales. We can provide these investment services if they are an incidental part of the professional services we have been engaged to provide. Trusts take a variety of forms and are established for a variety of reasons. Whatever their type or purpose, we can advise on the administration, accounting and taxation of trusts. We are happy to prepare annual accounts for trusts and estates, or where the administration period of the estate is lengthy and complex, preparation of interim accounts as required. Landlords have recently been the focus of various HMRC crackdowns, such as the ‘Let Property Campaign’ and obligations placed on Letting Agents to provide them with landlords’ details. With Cambridge continuing to rank amongst the top 10 buy-to-let hotspots in the UK, the potential for this to affect many taxpayers in our region is very real. We have a number of clients with extensive property portfolios and are happy to advise current or prospective landlords on these, or any other areas of compliance issues, as well as identifying various tax planning opportunities which would be of benefit to them. Cambridge is home to a thriving property investment market as overseas investors recognise it as being an attractive place to invest. We are well-placed to advise overseas landlords on all aspects of their property business, including the Non-Resident Landlord Scheme (NRLS), completing annual income tax returns and ATED Returns, in addition to offering tax planning advice to ensure the best structure is in place for UK investment properties. We can also advise letting agents and tenants of their obligations under the NRLS. Clients who are concerned that their tax affairs may be the subject of an HMRC Enquiry may wish to consider taking out our tax investigation insurance before we submit their tax return.